For the second day of cooking with Root Vegetable, its another baked dish. Sweet Potatoes are something I love eating just boiled and as a kid, mixed with loads of sugar. Now I have passed the stage of wanting to eat this with sugar and can just enjoy the boiled vegetable as such. Recently while shopping, Hubby dear saw these and reminded me that its been a long time since we had this and we picked up few. We enjoyed some as boiled for snack and rest was still chilling out. It was my luck that I remembered these and thought I should make something with it. 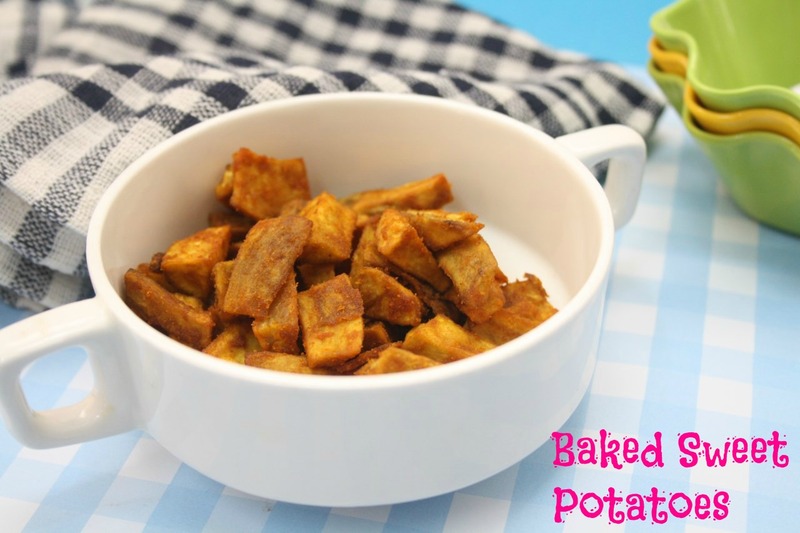 That’s when I saw this baked wedges from Gayathri in Instagram. you guessed it right, Sambar! 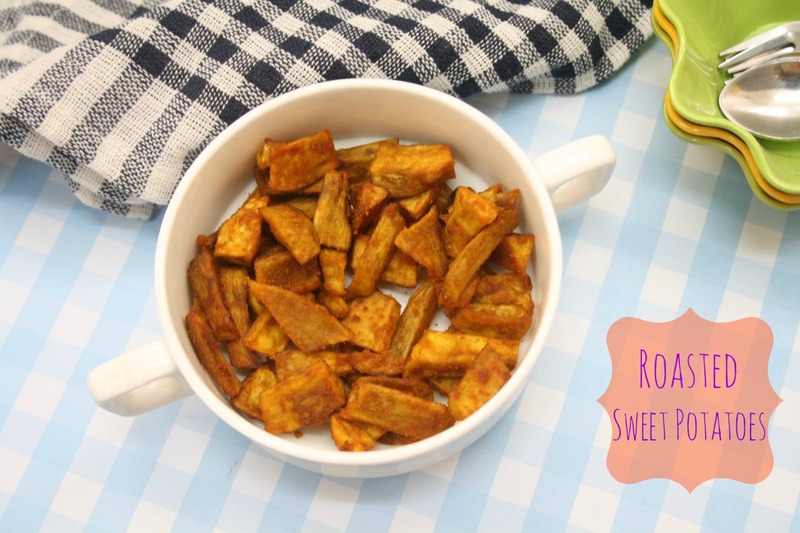 Enjoy these wedges with a cuppa! Wash and peel the sweet potatoes. Chop into 1 inch wedges. Take that in a bowl and add oil, salt, red chili powder and sambar powder. toss well. Line a baking tray with foil, spread the tossed wedges and bake in a pre heated oven at 185C for 30 mins. That is true. Some spices are so versatile that it can be sprinkled on pretty much everything. For me it is garlic crushed with chili powder. Anyway, sweet potato chips look great and a healthier version than the deep fried wedges. 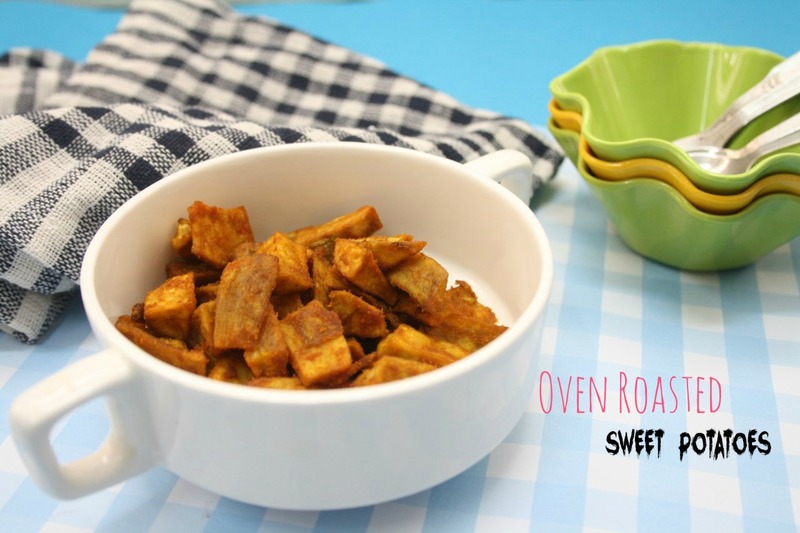 I love sweet potatoes and baked one are a perfect treat to munch on.Looks delicious. Even i saw these wedges on Gayathri s ! I am sure they must have tasted delicious with that sambar podi ! I love sweet potato in all forms. These are a favorite in my house. this recipe reminded me of my grandma , she used to love this too. will try your version too. I use sambar powder generously on other dieshes as well. I guess it complements well with the sweetness of the vegetable. Sambhar podi is truly versatile. It gives a ring of familiarity to every new dish I make. Lovely wedges…looks lip smacking! Give me that bowl, i want to have this irresistible wedges.. I too love the addition of Sambar powder in most of my cooking,love those flavor.Looks yummy. 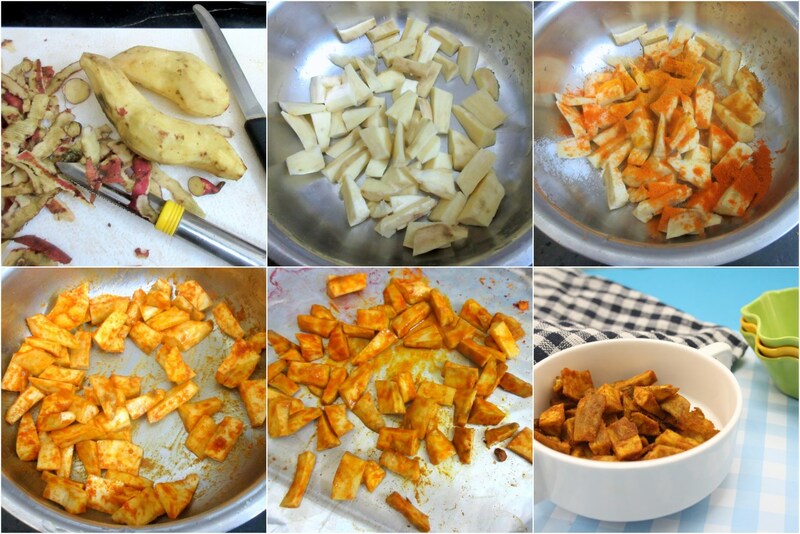 I have not tried it with sambhar powder, but i do make sweet potato fry often. Baking it makes it much more sweeter and tastier! We love sweet potato fries and your Indian version looks amazing. Never used sambar powder to spice up chips. But baked sweet potato is a family fav!